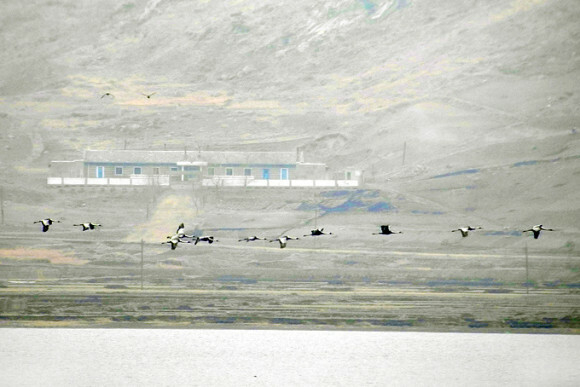 As part of an international initiative to improve conservation opportunities for threatened Northeast Asian species (including the White-naped Crane Grus vipio), a rapid assessment of birds and their habitats was conducted in Rason / lower Tuman River, far north-eastern DPRK, from March 26th to 31st 2014. This survey was conducted with the support and participation of the Economic Cooperation Bureau of the People’s Committee of Rason City, the Hanns Seidel Foundation, the East and North East-Asia Office of the United Nations Economic and Social Commission for Asia and the Pacific (UNESCAP) and the Robert Bosch Foundation. A formal report is under preparation by UNESCAP and a more detailed account of the species recorded is / will soon be available on the Birds Korea website. Counts were made using tripod-mounted telescopes and binoculars by Mr. Spike Millington (Chief of the East Asian-Australasian Flyway Partnership), Dr. Yuri Shibaev and Dr. Sergei Surmach (of the Far Eastern Branch of the Russian Academy of Sciences / Amur-Ussuri centre for Avian Biodiversity) and Dr. Nial Moores (Birds Korea), supported throughout by a team of regional experts and specialists. Our bird-counting effort was focused primarily on three lakes (Manpo, Sobonpo and Dongbonpo), largely within the 3,200ha Sonbong Migratory Bird Reserve, on March 28th, 29th and 30th; with additional observations made en routebetween Josan and Rajin (on 26th and 31st); from our hotel in Rajin, especially on 26th, 27th and early 28th and 30th); along the coast near Sonbong, especially on 28th and 30th, near Uam Ri (in an area overlooking Al Island) on 30th; in woodland above Pipha Islet also on 30th; and in woodland above Rajin on the 31st. Ramsar-defined internationally important concentrations of five species of waterbird were counted, and Ramsar-defined internationally important concentrations (of 20,000 or more waterbirds) were also counted on both Manpo and Sobonpo. In total, 110 bird species were recorded. These included several globally-threatened or near-threatened species occupying a broad range of habitats (i.e. 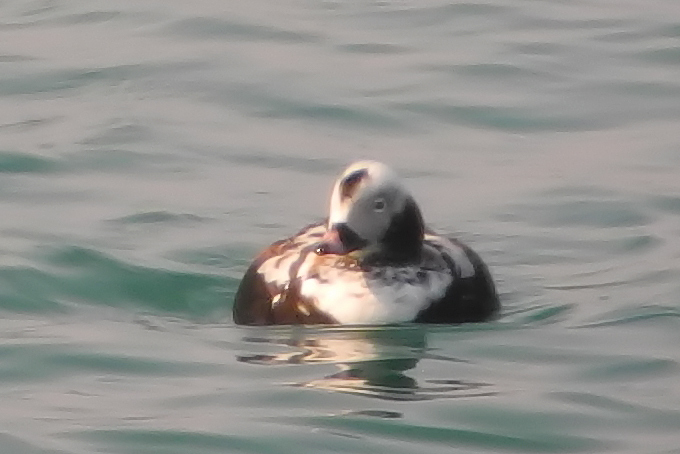 Japanese Quail, Falcated Duck, Long-tailed Duck, White-naped Crane, Hooded Crane, Far Eastern Curlew, Great Knot, Relict Gull and Ochre-rumped Bunting), and apparently two new species for the DPRK were recorded (American Wigeon and Relict Gull). In addition, a mounted Mountain Hawk-Eagle Nisaetus nipalensis was found and photographed by our team in the international bookshop in central Rajin. According to the shop-workers, the bird was “procured” locally; and was apparently brought into the shop one or two winters earlier. accpording TO Austin’s account of the birds of Korea, there are only three records of this species in Korea – all from Gangwon Province dated January 1914; February 1925 and September 1934. However, the species now occurs regularly (apparently increasingly so) in Russian forests close to the border with northernmost DPRK. The detailed species list is here.